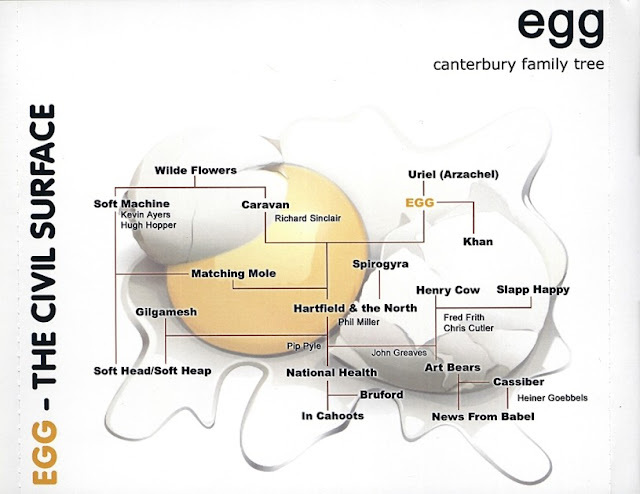 The Civil Surface is Egg’s third and final album. It was released in 1974. The band had broken up in 1972, not before performing some new material during their last concerts. The new songs were very well received by the audience, so the trio decided to re-unite to record these songs. 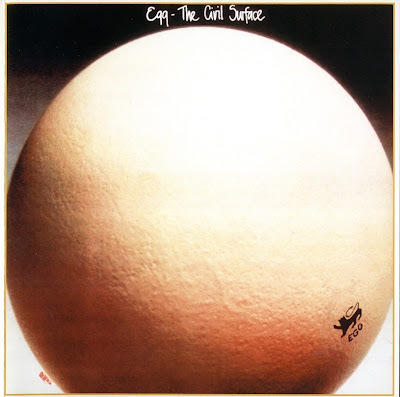 The album features guest musicians such as Steve Hillage and Lindsay Cooper. Critics have often complained that the album is poorly mixed, with the drums being far too loud. A recent reissue by Eclectic Recordings includes liner notes by Dave Stewart, in which he suggests that these problems were partly due to Clive Brooks insisting that his drumworked needed to be mixed louder.